Malaysia has carved its own niche as a halal centre that is also a focal point for others to emulate in developing their own markets in various parts of the world. Malaysia External Trade Development Corp (Matrade) chairman Datuk Dr Noraini Ahmad said Malaysia’s halal industry is thriving as it has an ecosystem which is supported by strong economic fundamentals and various market-driven initiatives. She said based on a report released by Thomson Reuters, “The State of the Global Islamic Report 2017/18”, the value of the global Islamic economy in 2016 amounted to US$3.6 trillion (RM14 trillion) and the figure is expected to increase to US$5.9 trillion by 2022. “Based on that, Malaysia recorded the highest score for the Global Islamic Economy Indicator (GIEI) compared to other countries. “Again, we lead the GIEI for the fifth consecutive year. This year, we are 60 points ahead of the United Arab Emirates,” she said at the Malaysia International Halal Showcase (Mihas) 2018 press conference in Kuala Lumpur yesterday. Last year, Malaysia’s export of halal products was valued at RM43.4 billion, a 2.8% increase compared to the figures reported in 2016. The food and beverage (F&B) segment made up the largest export, valued at RM20.1 billion, followed by halal ingredients at RM15.7 billion; palm oil derivatives at RM3.6 billion; and cosmetics and personal care products at RM2.9 billion. Singapore, for the first time, became the major importer for Malaysia’s products with RM4.9 billion worth of transactions recorded. The closest to Singapore is China (RM4.8 billion), followed by Japan (RM2.8 billion), the US (RM2.7 billion), Indonesia (RM2.2 billion) and the Netherlands (RM2 billion). Noraini said the achievement is part of Mihas’ contribution — a homegrown initiative that has attracted approximately 350,000 visitors from 70 nations since its inception in 2004. “Since its inauguration, Mihas has congregated up to 6,500 companies from 35 countries. It has also generated more than US$4 billion in sales and becoming the premier halal event in the global halal arena,” she said. The 15th edition of Mihas is expected to be held between April 4 and 7, 2018. The showcase is expected to record a 15% increase in the number of total visitors and a 5% increase in trading value. It will be held at the Malaysia International Trade and Exhibition Centre in Kuala Lumpur. More than 800 exhibitors have confirmed their participation this year, of which 45% are foreign participants from 41 countries — including India, Thailand, Indonesia, Taiwan, Iran and China. The international Sourcing Pro- gramme, to be organised in conjunction with Mihas 2018, has also received confirmation from 217 foreign buyers from 42 countries — including China, India, Japan and Korea, Saudi Arabia and Australia. In total, Matrade will be coordinating more than 2,000 business meetings between local and foreign companies during the event. Another event, the Halal Gelatine Ecosystem conference, will also be held during the Mihas Symposium to discuss the halal gelatine industry in Malaysia. It will present speakers from Universiti Malaysia Pahang, Majlis Amanah Rakyat and China halal organisation Shanghai Al-Amin Biotech Co Ltd’s representatives. 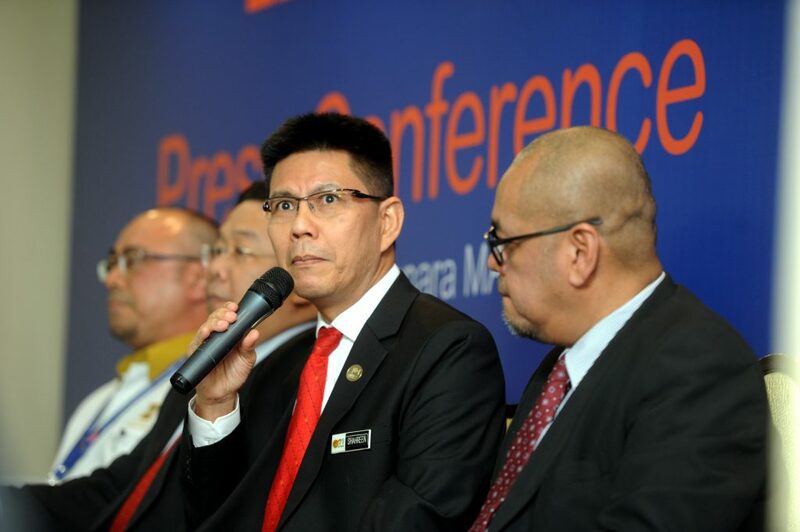 The event is a component of World Halal Week 2018 which will take place from March 26 to April 2018 and consist of two other components: The World Halal Conference and Malaysia International Halal Assembly co-organised by Halal Industry Development Corp (HDC) and Department of Islamic Development Malaysia (Jakim). This entry was posted in Korporat, Lain-Lain. Bookmark the permalink.